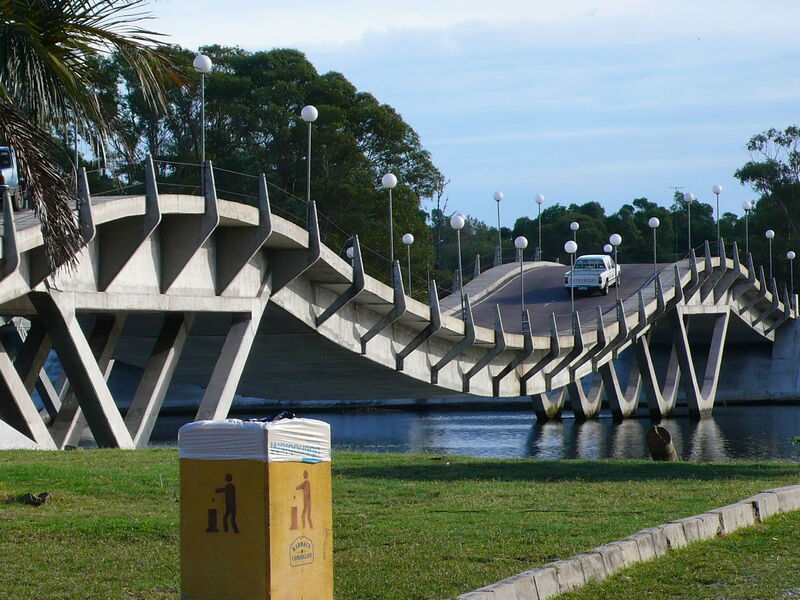 Maldonado (Spanish pronunciation: [maldoˈnaðo]) is the capital of Maldonado Department of Uruguay. As of the census of 2011, it is the seventh most populated city of the country. Maldonado is also the name of the municipality to which the city belongs. It includes the following zones: Maldonado, Punta Ballena, Portezuelo, Barrio Hipódromo, Canteras de Marelli, Los Ceibos, Abra de Perdomo, Laguna del Diario, El Placer, Cantegril, Maldonado Nuevo, Cerro Pelado, San Francisco, San Fernando, Estación, Leonel, Perlita, El Molino, and Biarritz. The origin of Maldonado’s name dates back to January of 1530, when Sebastian Cabot, an Italian explorer, departed for Castilla and left his Lieutenant, Fransisco Maldonado, in what is now the bay of Maldonado. After the Treaty of Madrid , when they started to divide Spanish and Portuguese properties in that region of America, the military governor of Montevideo, José Joaquín de Viana, suggested to the King that they should establish two populations, one in Maldonado and the other in Minas. In August of 1755, still waiting for a response from the King, Viana decided to leave with some families and head towards Portezuelo. It was there that Maldonado was founded. Viana later left the settlement, leaving the inhabitants with animals and sufficient supplies to live. The population was able to survive and grow due to the profits from growing crops and raising livestock. When he returned 20 months later, he brought 7 indigenous families with him and incorporated them into the small village to help the population grow. He also moved the settlement to their current site. The buildings that are built around the town square in Maldonado today, including the cathedral, are reminiscent of traditional Spanish style, giving evidence that the Spanish royalty were involved in the growth and development of Maldonado. In May of 1783, the population had grown and the villagers gave Don Luis Estremera the power to oversee the creation of a city council, thus legally establishing the city 25 years after Viana had founded it. After years of attempts, on March 14, 1787, an election was held and approved 8 days later, and the City Council of Maldonado was elected and the Town of Maldonado became the City of San Fernando De Maldonado in honor of Ferdinand VI of Spain. With a City Council established, the people of Maldonado could defend their rights as citizens. It is located on Route 39 and shares borders with Punta del Este to the south, Pinares - Las Delicias to the south and to the east and suburb La Sonrisa to the north. Together they all form a unified metropolitan area. The next city to the north is San Carlos, only 13 kilometres (8.1 mi) away on Route 39. East of the city flows the stream Arroyo Maldonado. Maldonado has an oceanic climate (Köppen: Cfb) with mild winters and without snowy. Already the summers are warm (recently hot occasionally), similar to southeastern Australia. By be in the way of the Malvinas/Falkand current and in the bottleneck of the continent it generates a rare temperate climate typically of the ocean in an east coast. But the city is close to a humid subtropical climate (Cfa), consolidating in the coming decades. In 2011 the city of Maldonado had a population of 62,590. According to the Intendencia Departamnetal de Maldonado, the municipality of Maldonado has a population of 105,000. ^ "Ciudad de Maldonado: 260 Años de Historia". Punta del Este Internacional. ^ Franciso, Bauzá. Exposición de los vecinos de Maldonado al Cabildo de Montevideo sobre la conducta de los ingleses. Documentos de prueba - segunda parte: Humanidades Año VII. pp. 101–112. ^ "History of Maldonado". Welcome Uruguay. ^ "Maldonado climate: Average Temperature, weather by month, Maldonado weather averages - Climate-Data.org". en.climate-data.org. Retrieved 2019-02-17. ^ "Find cities with a similar climate". Vivid Maps. Retrieved 2019-02-17. ^ Maldonado, Andrés Dalziel; Ian W.D. ; Leat, Philip T. (February 2015). The global relevance of the Scotia Arc: An introduction. Elsevier. OCLC 921271043. ^ "Censos 2011 Maldonado (needs flash plugin)". INE. 2012. Archived from the original on 7 September 2012. Retrieved 25 August 2012. ^ "Presupuesto-2011-2015". Intendencia Departamnetal de Maldonado. 2012. Archived from the original on 24 April 2011. Retrieved 11 September 2012. ^ "Statistics of urban localities (1908–2004)". INE. 2012. Archived from the original (PDF) on 23 March 2015. Retrieved 7 September 2012. 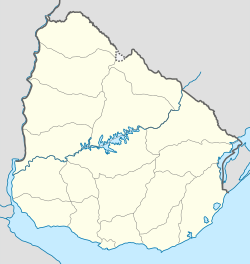 Wikimedia Commons has media related to Maldonado, Uruguay. Wikivoyage has a travel guide for Maldonado.